I think everyone can agree that 2016 has been a bit of a rubbish year. However for me the best thing to come out of it is the incredible cultural comeback of Pokemon! It seems that Pikachu and friends have taken over the world all over again. This year Thomas’ stocking will be overflowing with Pokemon related goodies once again as he’s back into it in a big way, and to be honest I couldn’t be happier as I love it too. 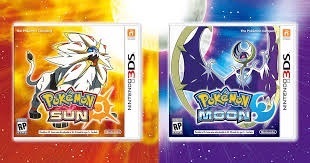 Obviously the massively successful Pokemon Go has played its part in Pokemons resurgence, but the hype surrounding Pokemon Sun and Moon was the thing that kept everything ticking over. Well now the wait is over, and Thomas finally got to play his most anticipated game of the year, and it definitely didn’t disappoint. He has been glued to the 3DS ever since release day. This is the reason for this review being told through Thomas’ thoughts to me, as he won’t get off it long enough for me to have a go . Firstly He says that the new Pokemon are the best in years, with the new starters only just behind the beloved originals. 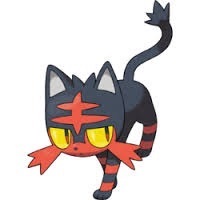 He choose Litten the Fire Type, which is the one I would have chosen too. Although I think Popplio comes a close second. He’s desperate to find his first Shiny Pokemon, as they are awesome. However they are so rare I think it’ll be a miracle if he does. The game is set in the new Alola region, and its a really nice place to go Pokemon hunting. Sun, sea, beaches, Palm trees. Its like going on a little holiday everytime you play. Pokemon Sun and Moon is a bit different to other Pokemon titles as you don’t just travel around battling gyms as usual. This time around you travel the islands completing challenges, quizzes, although theres always some battling to be done. When I asked Thomas about his favourite part of the game he said the Scavenger Hunts were brilliant. He loved travelling around taking photos of all the Pokemon. 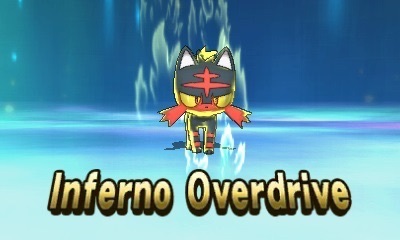 Another new thing in Pokemon Sun and Moon are the new Z Moves. These are new extra powerful moves you can teach your Pokemon when you get the Z Ring and correct crystals for the Pokemon type. Overall Thomas is having an absolute blast playing Pokemon Moon, and it has definitely lived up to his expectations. 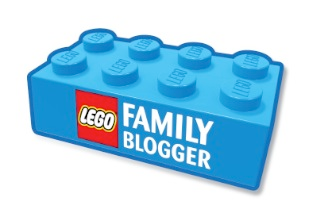 An unmissable instalment to the series – if your a fan you just have to get it! 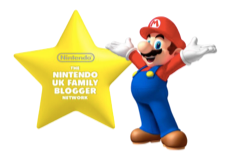 Disclosure: We received a code for the game as part of our participation in the Nintendo Family Bloggers Network. All opinions are our own.